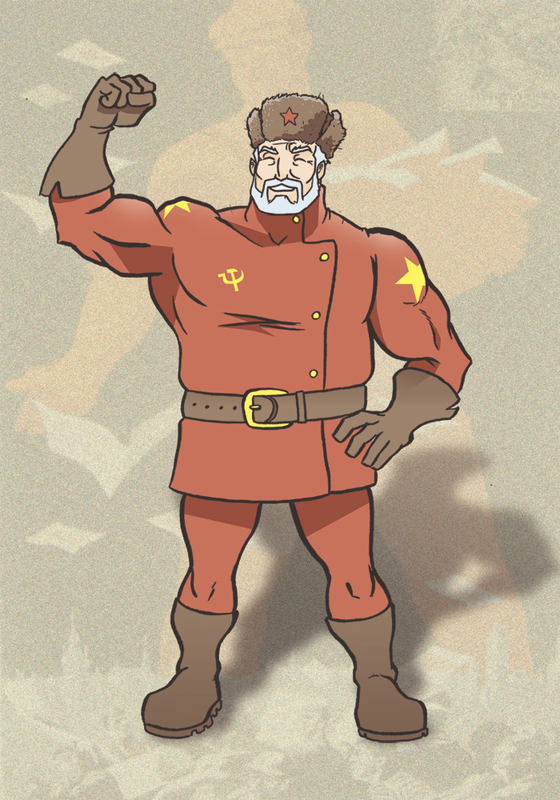 SuperFogeys - Fan Art: Soviet Sam by Tony Esteves! Been a little while since some fan art was thrown our way. This fantastic piece comes to us from Tony Esteves of the webomic Legendary Woodsman! Tony really captured Sam’s noble spirit, as you can well see. Great work, Tony! Want to see to share your SuperFogeys fan art with the world? Send it along to me at bwhheasley (at) gmail (dot) com. And now the moment of chaos has arrived. The future as been seen as the mistake in the past has become the present. Now the sorrow shall rise and the tower shall fall for the secert has been unmasked.